Cupcakes are a great treat that can easily be decorated to fit any holiday. 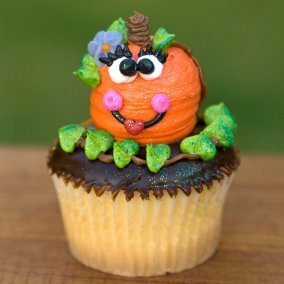 There are many ways to decorate cupcakes for Halloween. 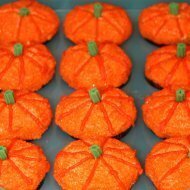 This is a guide about Halloween cupcake ideas. 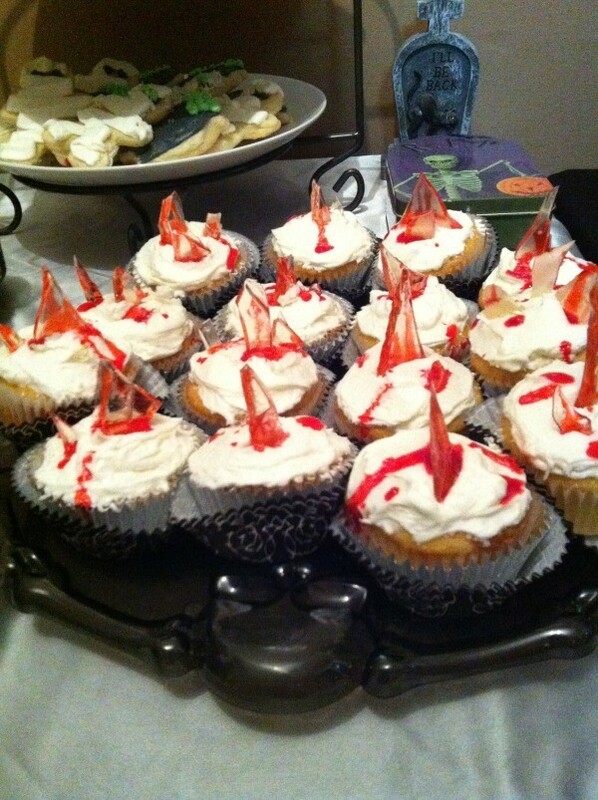 Here is an idea for making some creepy cupcakes topped with sugar "glass" shards and covered in red "blood". My friend Lisa saw them at a Halloween party this year and sent me the photo. I'm not exactly sure how they made the glass look so real but I think a blow torch was used. They certainly look dangerous, I'd probably only serve these to teens or adults. Pretty cool effect though. 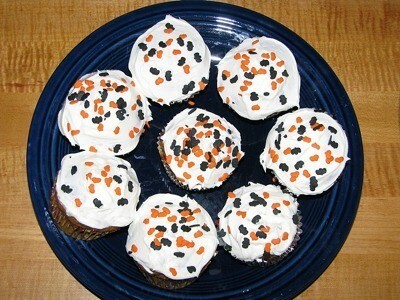 Try making these simple Halloween cupcakes. 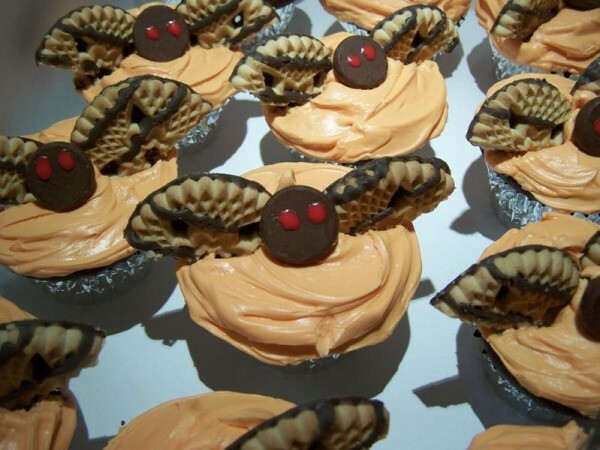 For the bats, use a Hersey kiss on its side for the body and fudge-stripe cookies cut in half for the bat wings. For the skulls, take 1/2 of a marshmallow tucked inside the edge of the cupcake paper (after baking!) to form the jaw. Then use Hershey kisses for eyes, a chocolate chip for "nose", and little snips of solid chocolate to make the "teeth." I used to make a batch of these every year for my now 20-year old daughter to take to school. She still asks for them, to share with her friends. Source: It's been so long, I can't be sure, but from a website. Perhaps even Thrifty Fun! Make the recipe for your favorite cupcakes. Get one can of whipped topping, it has to be in the can. Put a glob of whipped cream on top and curl the end. Heat oven to 350 degrees F. Line muffin cups (2-1/2 inches in diameter) with paper bake cups. Beat butter, sugar, eggs, and vanilla in large bowl on high speed of mixer 3 minutes. 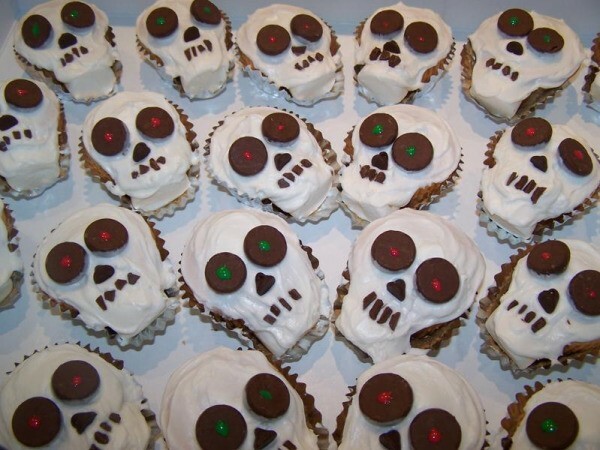 This page contains recipes for Making Skeleton Cupcakes. What better way to liven up a festive frightful Halloween event than with delicious do it yourself skeleton cupcakes?